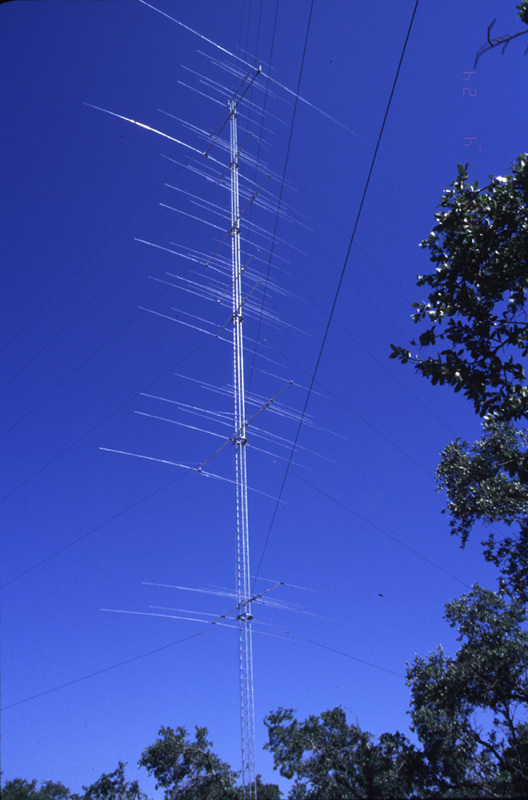 "N5CQ tries to cover all the angles and all the bands on a single tower with a stack of six Force 12 tribanders on Rohn 55G rotated with RTS components. 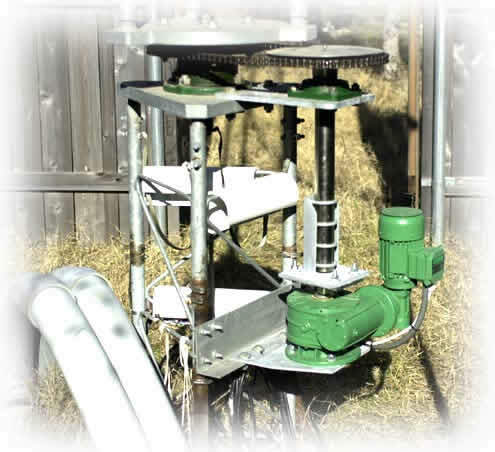 Three pairs are fed with 3 "Mini Stack Match" transformers and a Stack Match control unit on 20, 15 and 10 meters, allowing selection of any pair, any two pairs, or all three pairs. Three of the antennas are C3's (at 35, 95, and 125 feet) and three are C4XL's (at 65, 125, and 195 feet). The three C4XL's also incorporate interlaced 2 element "shorty forty" sections which are fed with separate feed lines and another Stack Match. Also on the tower are a WARC-7 beam for 30, 17, and 12 meters at about 105 feet, a 2 element linear loaded 80M Force 12 Magnum 280C at 185 feet, and a 160M sloper. The installation is in the hill country west of Austin, Texas." The top two boxes are the StackMatch controllers. The bottom box is a SixPak controller, 6 antennas to two radios antenna matrix. Beautiful, this is a work of art for sure! John, built this 200 footer on top of a mountain to boot. John has added a second tower to the property. I hope to have a picture soon but he added more Stackmatches. Here are his comments. Got the boxes and they should work fine. 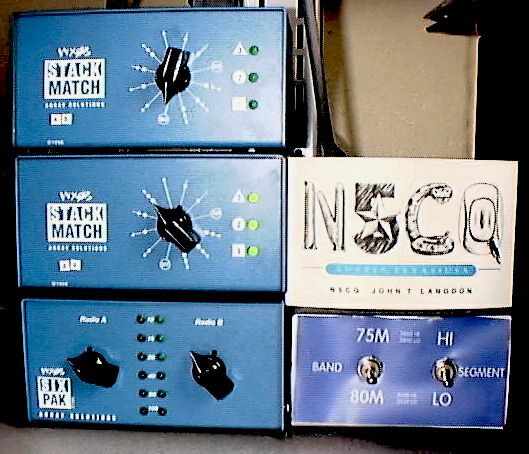 I now have 5 StackMatch boxes on the operating position - it is a sea of "Array Solutions blue". In the long run I want to control them all with relays and a software interface, but manual works for now. It really helped in the SS to be able to switch and combine the antennas. I also have a second radio hooked up via the six pack and am trying to get the TR interface to the second radio going.